This is a book that makes the wisdom of the ages and sages accessible to everyone. I know from experience it speaks the truth about human potential and will help the reader to connect with a higher consciousness and see through God’s Eyes too. If we all live the message some day the world will no longer be chaotic but will be healed and at peace despite the difficulties life presents us with. This is a guidebook for a troubled world. I can’t thank you enough for your book. It’s amazing. I have it in my locker and read bits of it every day before games for inspiration. It reminds me how sacred my daily walk is, and the strength that is ours in just surrendering to Spirit. I have so many friends who would find this the best thing ever. We think about this stuff daily. It’s a book very needed in all of our lives. One of the most important books I’ve ever read. An incredible compilation of spiritual wisdom and insight. It’s the owner’s manual God should give you when you’re born. Ancient wisdom and deep knowing echo through these pages. This stunning book reverberates with the amazing grace, profound strength and compassionate love of the Divine. Like a good friend, you will consult this book over and over in the course of a lifetime; this inspired work is a rare treasure. At first glance, this monstrous 538-page book appears to be a collection of inspirational quotes from cultural icons as well as sages throughout the ages. However, as you read the book carefully, you will be pleasantly surprised to discover that it actually provides a detailed road map for your spiritual quest for a meaningful and harmonious life. Here lies the genius of Bolsta—he makes the profound look simple and his simple steps can lead to profound changes in individuals and society. I recommend this book to anyone with an interest in spirituality and service to mankind, regardless of their faith tradition. This ambitious book deserves a place on the night stand of anyone committed to living the richest life possible. Phil Bolsta has gathered the wisdom of the ages and organized it in a wonderfully useful way. This is a book that will make you think, contemplate and, most certainly, add positive insights that could just change your life. I am very happy to see Phil’s ideas take form in this book. Over the years his dedication to serving people and bringing truth to light has been persistent, honest, and real. Many hearts and souls have been touched by his work and this honesty. Over the years I have watched him walk deeply with the ideas in this book. It has taken form as his journey and the essential life lessons that have caused him to develop into the beautiful soul that he is. I am honored that my story about the beauty of the death of the gazelle had such an impact on Phil and feel blessed that he has traveled so far with it. I pray that all of us have the blessings to be able to perceive reality through the eyes of God and to experience the existence of the Divine within us and within every event that occurs in our lives. Thanks, Phil, for opening the doors again so that many people may taste the fragrance of this reality. Phil Bolsta has strung together a brilliant selection of jewels in a necklace of timeless quotes amplified with his perceptive commentary. In Through God’s Eyes there is a logical flow from section to section so the whole can be read as narrative or each section can be contemplated and absorbed on its own. 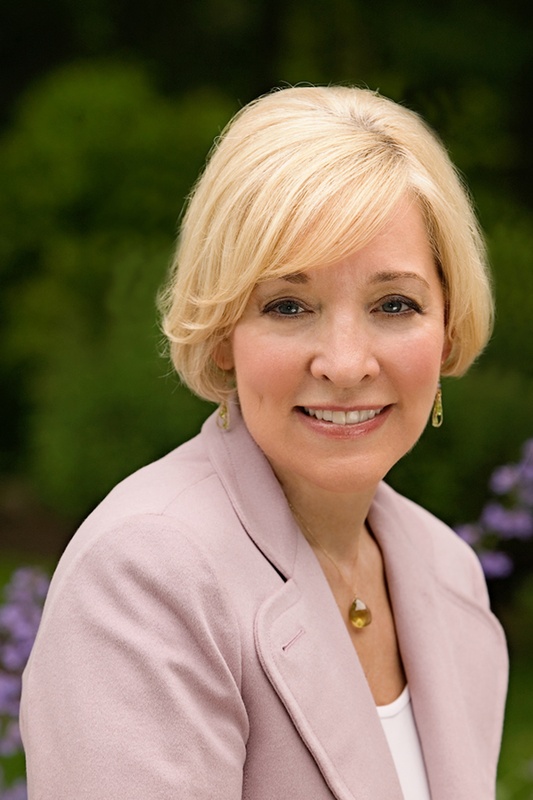 A wonderful tool on the journey of uncovering and revealing more of Self. What a fine web this author weaves. Whereas at first we believe ourselves to be dwarves standing on the shoulders of giants, we awaken and realize we are that which we seek. May you enjoy the labyrinth contained within. Walk slowly. Feel the love and move so ever intently, gently from the shadows into the soulshine. Through God’s Eyes reminds us that there is no end, so be here now. Through Gods Eyes is a master work. It is proof that God’s angels here on Earth, who see with his eyes, love with his heart, and speak with his voice have numbered in the hundreds. Phil Bolsta’s ability to weave these voices together as a unified whole is sheer genius. This book will be a handbook companion to be read over and over for those on a spiritual path. Through God’s Eyes could be subtitled CliffsNotes for Your Soul. Each “note” and quote of inspiration will stir your soul to take action in the appropriate direction for your highest good. I recommend this book to everyone who desires a saner, healthier, and happier existence. In Through God’s Eyes, Phil Bolsta masterfully weaves wisdom from others with his personal stories of growth and challenge, giving the reader powerful tools for living a joyful, creative and spirit-filled life. I can’t imagine the hours and hours Phil Bolsta put into composing this book. I love the quotes from these beautifully gifted people and I especially love Phil’s personal stories at the end of each chapter. This book is a wonderful contribution for anyone searching for their spiritual roots. I like to randomly peruse Through God’s Eyes for meaningful ideas, instruction, inspiration, and unplanned occasions. Finding just the right words, written or spoken at other times and places, can unveil and bring forth innate, timeless knowledge in the present moment. Through God’s Eyes is a brilliant compilation of the wisdom of the ages. I love it! This is really a remarkable book! To be inspired is one thing, yet to find yourself immersed in an understanding of your relationship with the divine is life changing. I’ll read it again, and again! Through God’s Eyes is a wonderful book for anyone wanting to better understand their direct connection to the God within. It addresses what we all long for: a deeper connection to our soul. Phil Bolsta has skillfully brought together teachings from a number of spiritual masters to provide an in-depth perspective into seeing the world “through God’s eyes.” This is a must-read not just for spiritual seekers, but for anyone on a path of personal growth and transformation. I like to think I’m a well-balanced, practical guy. When I picked up Phil’s book, it intimidated me at first until I just let go and started reading it. Once I started digging into it, I thought, Wow. For the first time, this stuff really makes sense. What’s cool is that I felt I wasn’t alone while I was reading it. With all those great quotes on every page, it was like having hundreds of philosophers, poets, and other great thinkers sitting with me and explaining things to me, which was awesome. 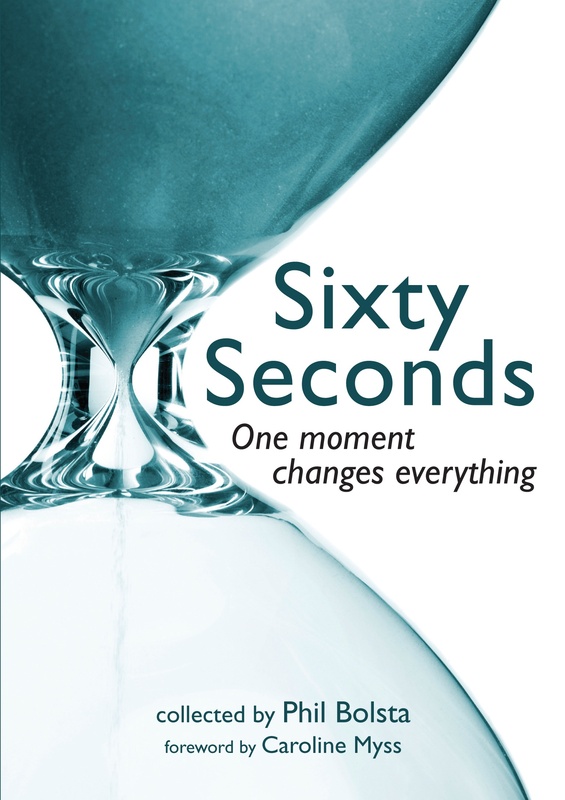 Then, at the end of every chapter, Phil ties everything together with a real-life personal story and some self-reflection questions, which made me think more about my own life and my relationship with God. This book has opened my eyes, made me think, and helped me feel more connected to life than I ever thought possible. Through God’s Eyes is an extraordinary collection of wisdom from across many cultures and many ages. It is a special treasure chest to sit with and contemplate, and one that will spur you to become aware of and take action toward a more awakened life. I give it my highest recommendation! A delightful, inspirational book cram-packed with wisdom and inspiration drawn from ancient to modern insight and revelation. Absolutely supports how many ways one can have a positive and healthy approach to life by choosing to look through the eyes of God and clearly see the spiritual reality of one’s being and of all life. Phil’s pure and loving spirit shines through in the inspiring spiritual guidance he shares in Through God’s Eyes. No matter where you are on the spiritual path, you will find beautifully written passages that will speak to your heart and soul. Man has always searched for someone who has all the answers. Why? Because from ancient times to today, we realize that however much we know is very little compared to what we don’t know. Phil Bolsta tracks our search to know more. In his book, he shows us there is something spiritual—not a specific religious viewpoint—that brings us closer to comprehending what we do not know. We are not satisfied with what we call reality, and we realize that absolute truth is not defined by physics or mathematics. Consequently, we search for what’s unknown, and Bolsta expresses that search beautifully. He points to a spiritual dimension that rises above human activities, needs, and desires. 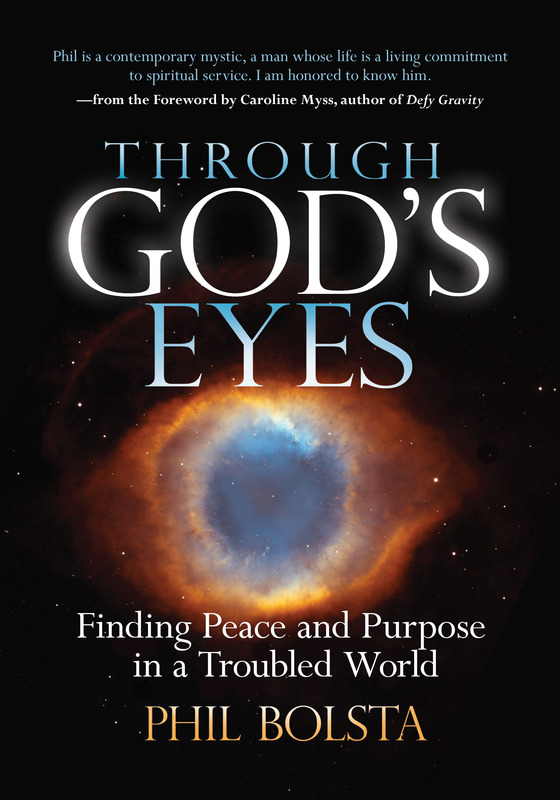 Through God’s Eyes is a must have for spiritual enthusiasts craving deep and meaningful insight into the inner workings of God. It’s also a go-to resource for spiritual teachers, yoga teachers, and healers who wish to gracefully enter into meaningful dialogue that touches the minds and hearts of those seeking knowledge. If you are thirsting for truth, you owe it to yourself to read this book! In this carefully crafted treasure of a book, Phil Bolsta reminds us that none of us are alone in our spiritual journey, which is arduous at times. We walk this path in the good company of many dedicated and illumined souls—past and present, near and far. Every page shines with the golden nobility of the time-tested, universal spiritual truths that other seekers of wisdom have discovered along the way. Phil Bolsta’s guided tour of spiritual insights and meaningful quotations has been very valuable in my work about forgiveness. Each quote is judiciously curated and introduced with a contextual set-up which adds value to how the thought can be taken in. Then if one wishes to pursue the thinker as well as the thought, the information can be found on special sites that are extensions of the book: GodsEyesQuotes.com and GodsEyesBios.com. This book is a valuable reference that is never far from my reach. I use this book every day in my staff meetings by just randomly opening to a page. Somehow like magic, the message seems to address the day’s challenges. Similarly, our therapists have begun using it in group therapy sessions with our patients. They LOVE it! Thank you for compiling so much wisdom in such a compact space! This entry was posted on May 12, 2012 at 12:02 AM and is filed under See INDEX categories above. You can follow any responses to this entry through the RSS 2.0 feed. You can leave a response, or trackback from your own site.